CLOSEOUTS. 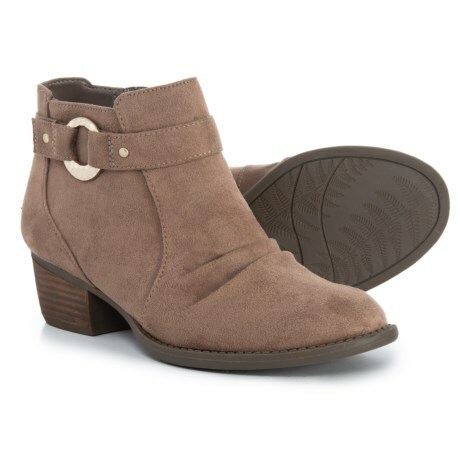 Pair these Dr. Scholland#39;s buckle strap ankle booties with your favorite jeans or leggings for a western-inspired vibe. Available Colors: STUCCO, BLACK. Sizes: 6, 6.5, 7, 7.5, 8, 8.5, 9, 9.5, 10, 11.